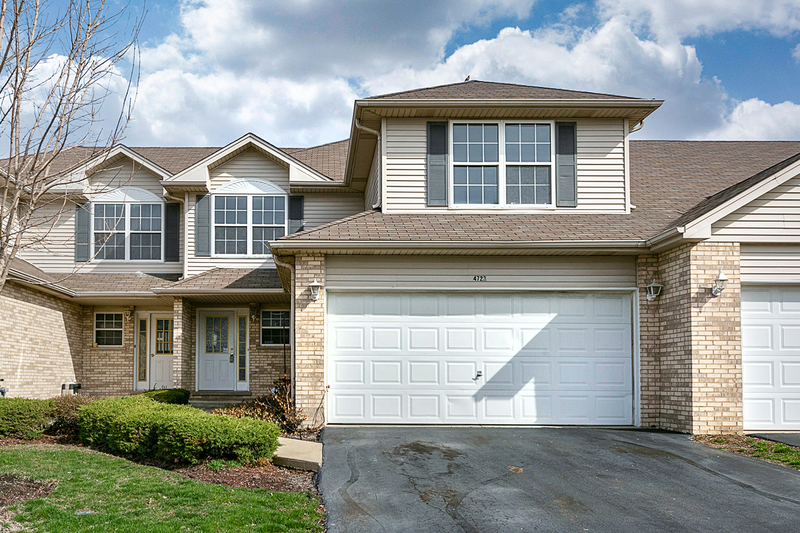 Charming 2 Story Duplex in desirable Waterford Pointe Subdivision Boasts Fresh Paint and Brand New Carpet. Cozy Family Room with Soaring Vaulted ceilings Opens to the Spacious Eat In Kitchen with Pickled Oak Cabinets and Sliding Glass Door to patio and yard - perfect setting to relax and unwind after a long day! 1st Floor Laundry Room with Slop Sink. Powder Room Completes the Main Floor. 2nd Floor Offers Master Bedroom with Shared Full Bath and large walk in closet. Plenty of Natural Sunlight Throughout the Unit. Full Basement with Bonus Room on One Side and Unfinished Room on Other Leaves Endless Options for Expansion, 2 Car Attached Garage. Great Location!! Close to shopping, dining and interstate!! Start your memories here and allow the HOA to take care of the exterior lawn and snow maintenance!! See it Before it&apos;s GONE!